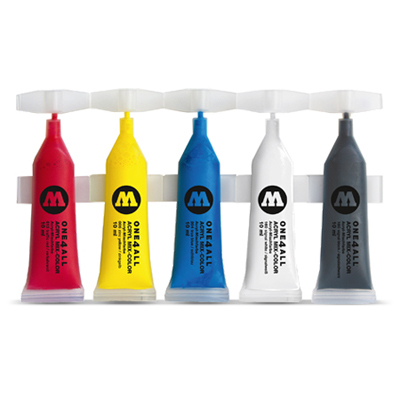 The Molotow One4All Striptubes Set includes five handy 10ml paint portions for the quick and easy refill or for mixing your own shades. 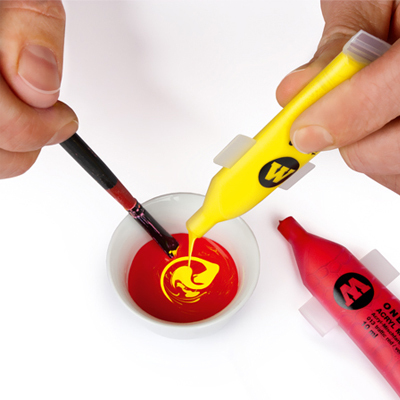 Original One4All quality paint in resealable single tubes in five base colors: traffic red, zinc yellow, true blue, signal white and signal black . The single striptube can become a marker by attaching a 10mm Dripstick Tip.